Central Beach - Mikszáth Kálmán street 5. 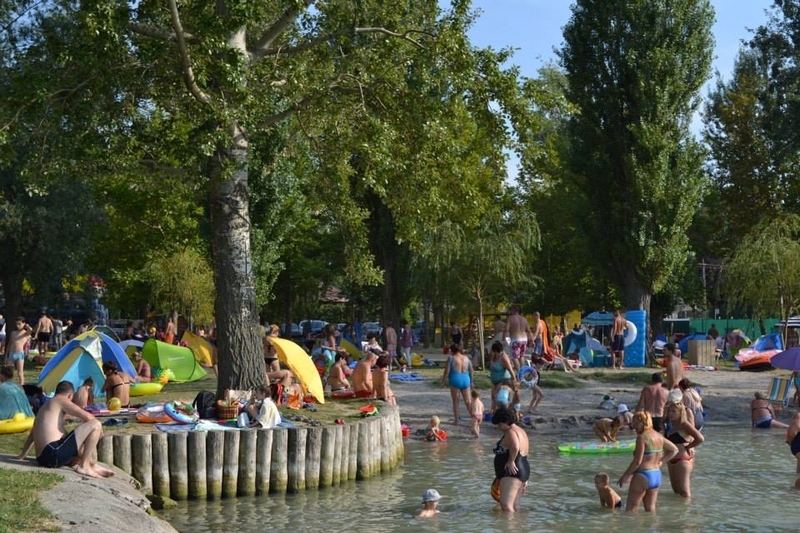 The beach can be found at the Mikszáth Street, in the central. The nature-made small bay is special because it is remained a natural, sandy beach. The beach is well-equipped, clean, well-kept, it received the 2-star Blue Flag rate. Bendegúz free beach - Jókai Mór street 41. The beach is covered with grass, shady, tree-lined. It's right next to the Bike Route. The bathers can choose beverages and foods from the beach's buffet. Móricz Zsigmond street free beach - Móricz Zsigmond St 23. This beach also have a playground and sand box.